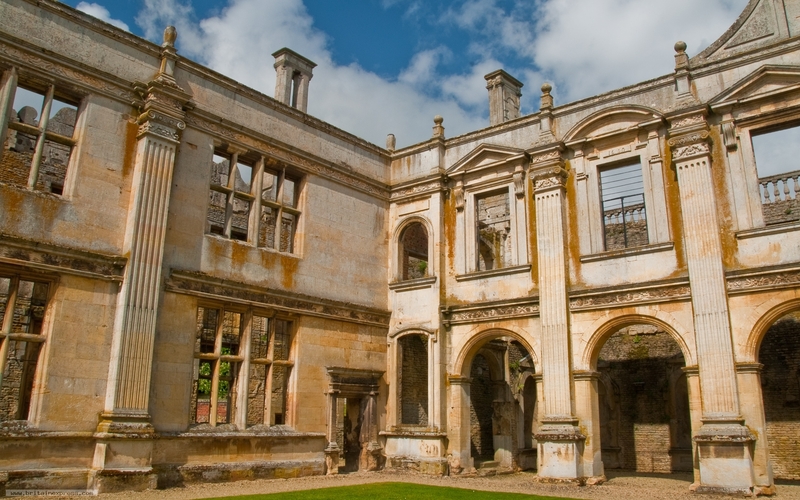 Kirby Hall is a ruin, but what a ruin. This glorious Elizabethan mansion was built by Sir Christopher Hatton, Lord Chancellor to Queen Elizabeth I, to receive a royal visit that never materialised. The house was left unfinished, and it remains today a superb shell, surrounded by restored gardens that were once among the finest in England.